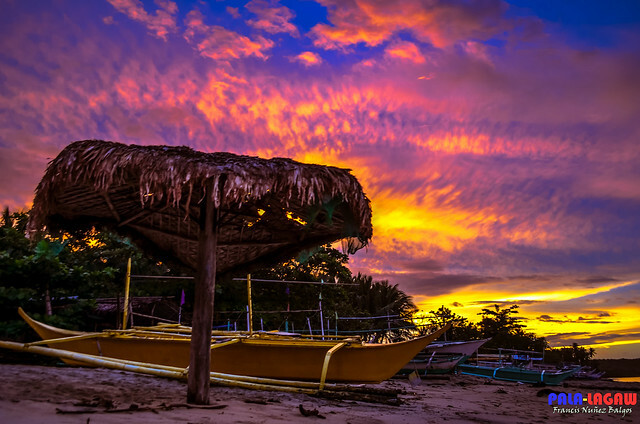 Batangas as a province has a lot to offer to its visitors. 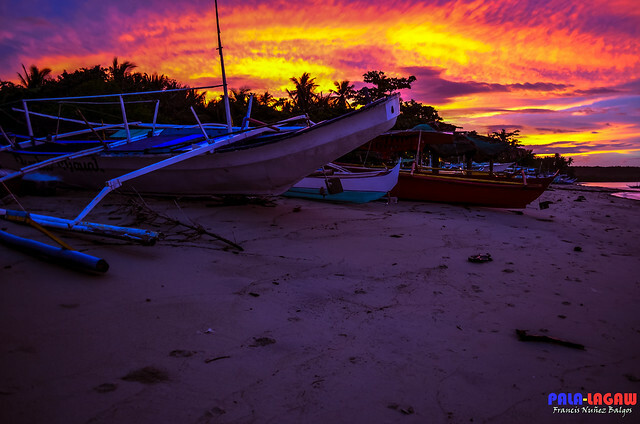 A place down south from Manila, Batangas is a huge province, and the beach coastline of Laiya in San Juan Batangas is well thought of. But an effort it is, being too secluded perhaps, just getting the transportation to it is a challenge. 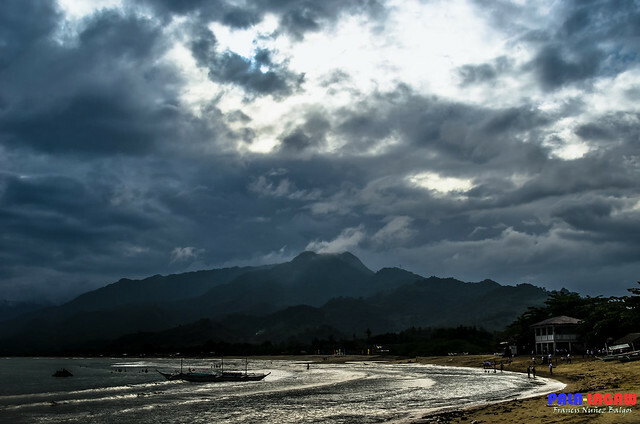 I've been to Batangas several times, but not on its famed beaches like the Laiya. This time though, I didn't come alone. I was tagging along with someones team building from the office. It pays to have a very friendly and likable disposition like mine, I get to be invited on parties like this even when I'm outside of the circle. Taking photos of people is taking hold of my brand of photography, perhaps one of the reason why I get invited a lot, I don't mind really. Like an opportunistic predator, team buildings and private parties is an easy and cheap ticket to go to places. More so because the expenses are shared by the team itself, there are even times that I only get to spend on my fare, all I have to do is take photos of everyone which I intended to do anyway. It was an overnight trip, and a weekend to boot. We left late from our call center office in Ayala Avenue, Makati. This is one of those weekends where Manila is ragged by a tropical storm. We are getting used to the frequency of these heavy monsoon rains, it was not enough to dampen our spirits. We left for a bus that would take us to Batangas Super Station. It was a longer route, but we are moving as body of good 20 Pax of energetic call center agents out on a weekend. When in Batangas, we rented a jeep that would bring us all to a private resort in Laiya, San Juan, Batangas. Along the way, being chased by storm clouds and heavy rainfall in Manila, we where surprise to find Batangas in a tranquil state, grey cast and cloudy but no rain. We were fortunate. 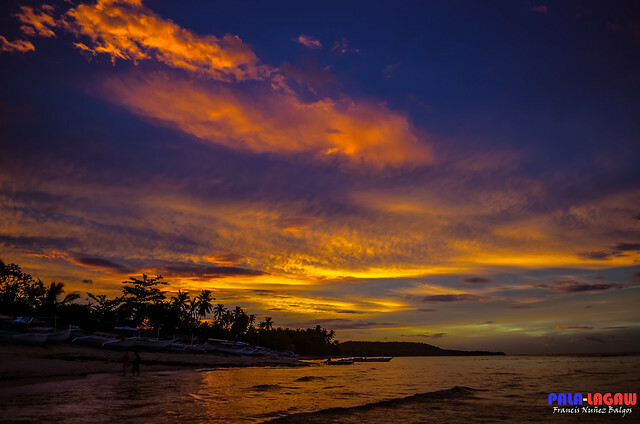 The Photo above was shot in mid afternoon, while I was waiting for blue hour to behold Batangas sunset. Unfortunately, it rained just a few minutes after this and continued for most of the night. I was in to capture a very good sunset, a photographer knows that a clear cast sky is actually a boring landscape photo. So even when it's grey and cloudy, as long as you get a break through in the horizon when the sun peaks, you get a good deal of a shot. Too bad though, it started rain on the late afternoon, just before the blue hour. The team I was with is lead by a very close friend of mine, and I know every member so it was like I was with my own team. Feels good to be with a lot of people sometimes, I like it very much, I'm that kind of social animal. I was eager to arrive, but the trip was tiresome and it took us 5 hours considering that we made a few stops for the overnight provisions. Coming from the concrete jungle that is Makati, the residential countryside of Batangas is a breath of fresh air, everyone on board the trip came from a night shift but we were awake all throughout. Most of these photos posted here are captured on a sunrise. Determined not to be let down by the bad weather, I woke early well before the blue hour at sunrise. And lo, it was a sight to behold, it was an inspiring sunrise that promises a better view of Laiya Beach for me and for the team. This is me sharing a few of the shots I took. Awesome!!! Nothing beats sunrise and sunset view by the beach. Golden! @Ada - true that! Tnx for visiting. gumigising rin ako ng umaga to capture either soft skies or tumultuous-looking ones. If it's clear, I get sad LOL! Been here bro, last August:) ganda nga ng sunset dito- hindi ko pa lang na popost sa blog(dami backlog) hehehe. Oh I love you shots! Batangas is always where my heart is. You really are a good photographer and I can't help but say WOW on the photos. I've been to Laiya once but only to check on the place and not to stay for a night. Looks like I should be visiting Laiya soon. Thanks Franc - coming from you! feels good! thanks! Glad you like it Carl! are you from Batangas? Im not from there but I love Batangas very much. 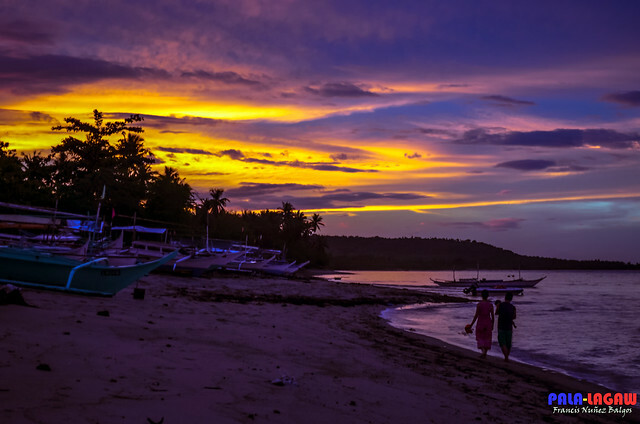 @Tripsiders - I can't really recommend Laiya. Its really an effort for an overnight trip. You need to bring a troop of people who will be okay with that. But once there, you'll surely enjoy the place. Francis HDR yung sunset photo mo? 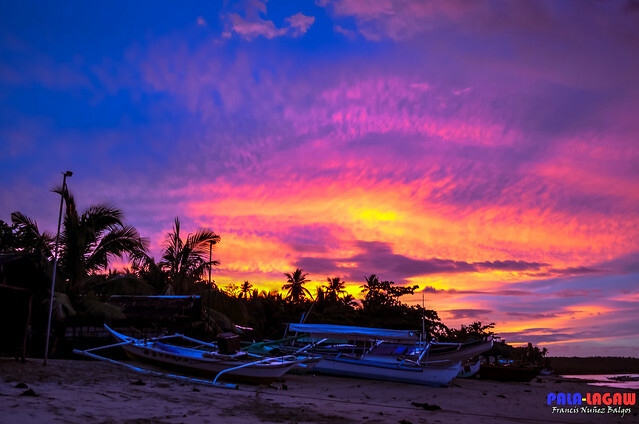 Ang galing, I wish to capture a sunset as good as this. I miss chasing the sunset tuloy. I don't use HDR, I don't really know how to. I'd hone my skills in post processing, and I always prefer showing more details than hiding them. Wow! These pictures are awe inspiring and so impressive! Nahuli mo ang kahinaaan ko, sunrise shots. And yours are really fascinating ones. Sn Juan is that near Sto. Tomas? wow ang ganda! I've been to San Juan, kaso di pa ako mahilig sa photography nun kaya wala ako pictures.. hehe. Hope to have the chance to visit it again. Nice shots! Landscape photography will always be unpredictable due to weather constraints, but we have to enjoy what the nature has to offer in that time of the day. As I see in your photos, you did enjoy, even with rains before the sunset. Really nice shots! My favorite is the third one. The waves give the photo a sense as if the bangka is moving. Awww, nice dramatic shots. I'd like to hit the beach again soon! I like the 4th photo best. 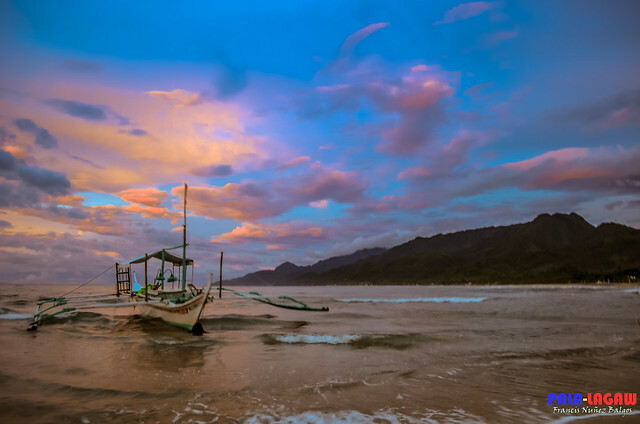 I can almost hear the splash of the waves as the banca nears the shore. I missed Laiya for quite sometime now. Wow namn! Na-amaze ako. Great shots! Interesting READ. Enjoyed reading it. oooh-some shots! 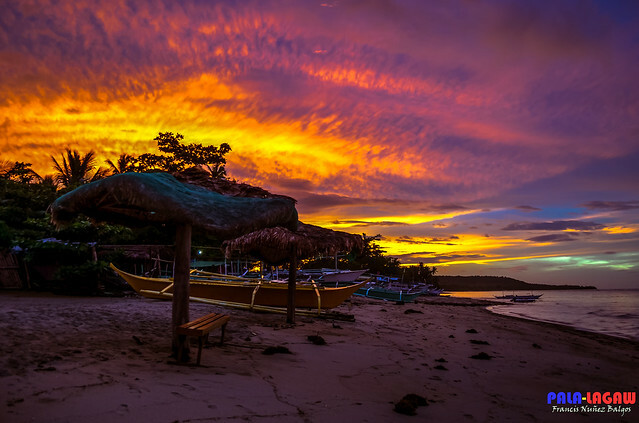 I love the picturesque view of the beach combined with the stunning color of the sky! Love your shots dear Sir! awesome! We've been looking for places like this in our area. We found one last year and it's a Vanuatu private island. The experience was so realxing. Hope I can visit more of this. The wonder of nature really inspires me.